The next time you’re craving a green juice or a post-workout smoothie, stop by City Acres. You already know our flagship location is stocked with everything from local, organic produce to imported cheeses, but did you know that you can also stock up smoothies, acai bowls and cold-pressed juices – all without leaving the store? That’s right! JuiceBrothers, Amsterdam’s original juice shop, just opened their first stateside location…and it’s in our Williamsburg shop! 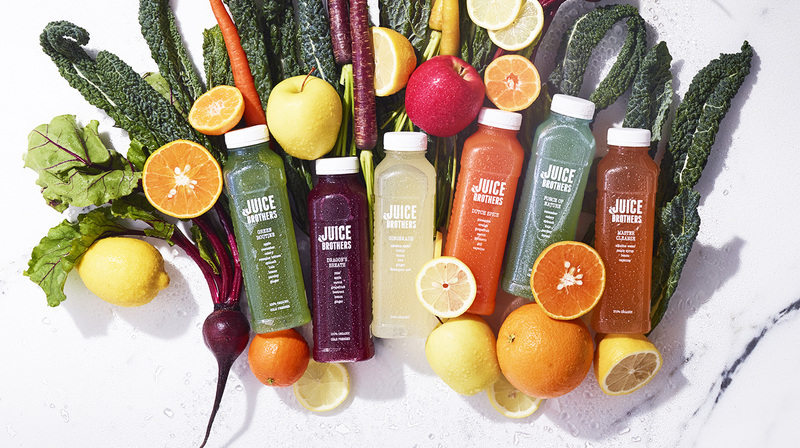 Using organic fruits, veggies, nuts and superfoods, JuiceBrothers creates high quality, cold-pressed juices, smoothies and vegan-friendly snacks that are nutritious and delicious. And now you don’t have to jump on a plane – just the L train – to get your fix. Not only do we think they make the best juices and healthy treats in Amsterdam, but we think they’re the best around! Which is why we’re so excited to announce our partnership to have JuiceBrothers in all of our City Acres locations. More exciting news: JuiceBrothers will create all their delicious blends upstairs, above our Williamsburg store. Even as we expand to new locations – like 70 Pine – we’ll continue our dedication to producing everything in-house, so when you sip on a bottle of juice or take a bite out of a banana choco oat bar, you’ll know it’s made fresh, with only the best ingredients.